My name is Dan Casey, and I will be your instructor for the next 10 weeks. I have taught several online classes, however my clear favorite is financial analysis. I also teach at UCSB Extension, and occasionally on the ground at UCLA. In addition to this class, I sometimes teach investments, the Survey, and the Practicum. 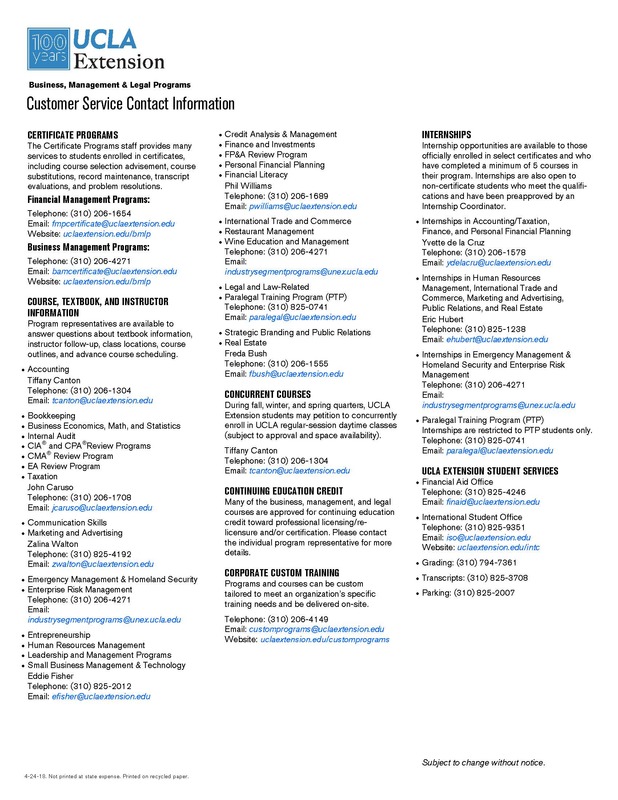 I have an MBA, a PFP and a math degree from UCLA as well as being a CFP® practitioner. Peter A. Collins is an experienced financial planner who assists individuals, families, professionals, and small business owners in setting and achieving their financial goals. Peter has over 25 years experience in the financial services industry. 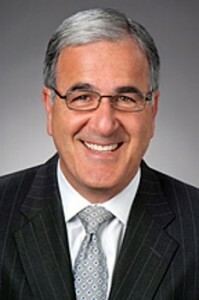 Peter worked many years at large insurance companies in the capacity of sales, sales management and corporate training. He is licensed by the California Department of Insurance for Life, Health and Variable Annuities and holds FINRA’s Series 3, 7, 24, 63 and 65 licenses. Peter has taught this course at UCLA’s Westwood and Downtown Los Angeles campuses since the Fall of 2008. He completed UCLA’s “Instructor Development Certificate Program” in 2009. Todd Davidson, J.D., P.F.P., is the owner of Davidson Financial Planning. He has 32 years of financial services experience, as an attorney, tax/operations director for a subsidiary of a Fortune 500 company, and as owner of Davidson Financial Planning. Mr. Davidson holds a Bachelor of Science Degree in Business Administration from California State University, Northridge, and a Juris Doctor from Southwestern University School of Law, Los Angeles. 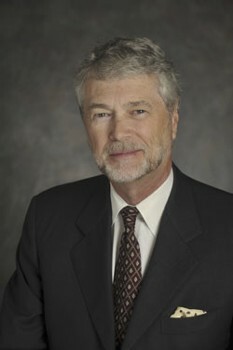 He received the Personal Financial Planning (PFP) designation from UCLA Extension, and currently teaches its foundation course, “Survey of Personal Financial Planning.” He has also moderated a course entitled “Developing Your Own Financial Plan” at UCLA Extension, and has developed and taught numerous other seminars. Jonathan S. Forster is a partner of Weinstock, Manion, Reisman, Shore & Neumann, which specializes in all aspects of estate planning. Mr. Forster’s practice includes the design and implementation of multi-generational estate planning strategies for high net worth families. These strategies accomplish estate tax reduction, liability and creditor protection, charitable planning and life insurance planning. 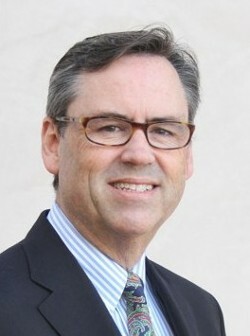 Mr. Forster received his law degree from the Loyola University School of Law in 1995 after graduating from UCLA with a degree in economics. He is a member of the California State Bar and an active member of the American, Los Angeles County and Beverly Hills Bar Associations. 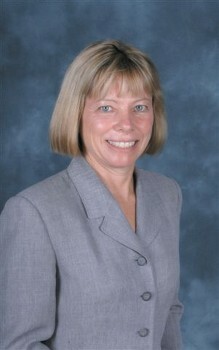 As co-founder of Financial Planning Educational Solutions, a training firm that specializes in personal financial planning and the review course for the CFP® Certification Examination, Ms. Hewitt has worked with numerous Fortune 500 clients, including Merrill Lynch, Morgan Stanley Dean Witter, and Charles Schwab. 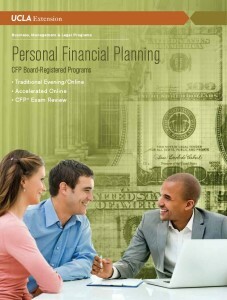 As co-founder of Financial Planning Educational Solutions, a training firm that specializes in personal financial planning and the review course for the CFP® Certification Examination, Ms. Le Claire has worked with numerous Fortune 500 clients, including Merrill Lynch, Morgan Stanley Dean Witter, and Charles Schwab. Nancy McCready is a financial advisor and CERTIFIED FINANCIAL PLANNER™ Certificant with Wells Fargo Advisors, in Beverly Hills, California. 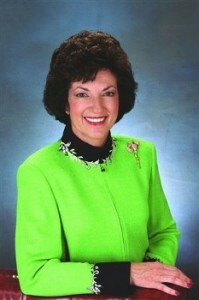 She holds the Chartered Retirement Planning CounselorSM designation and an MBA from the University of Virginia. Ms. McCready served as a CFP Board Ambassador and media spokesperson. In her role as a CFP Board Ambassador, she was interviewed by CBS Los Angeles News for a story about a family facing financial crisis due to job loss and inadequate savings. She is a board member and Treasure of Community Conservation Solutions and served on the finance committee of All Saints Church in Beverly Hills for five years. She also belongs to the Library Foundation of Los Angeles. Steve Minihan is a Certified Financial PlannerTM professional and co-founder of Westlake Financial Advisors, a Registered Investment Advisory firm providing comprehensive financial planning and asset management services. His prior experience includes President of PayPoint Electronic Payment Systems, Inc., a stand-alone subsidiary of the Atlantic Richfield Company (ARCO). Steve also held management positions in corporate finance, strategic planning, project evaluation, and financial operations in ARCO’s corporate and operating organizations. Prior to his corporate experience, Steve was a Senior Economist and the Director of Economic Analysis for the U.S. Department of Energy. 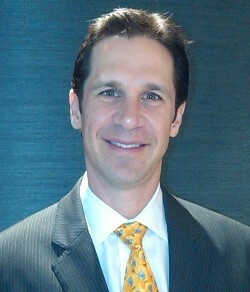 Steve holds a MBA in Financial Management from the University of Chicago, and is an Enrolled Agent. Martin A. Neumann has been with the firm of Weinstock, Manion, Reisman, Shore & Neumann since 1981 and specializes in estate planning and trust administration. He has been a lecturer since 1987 for UCLA Extension, where he teaches both beginning and advanced Estate Planning courses. He is the co-author of “Outright Noncharitable Gifts” in California Will Drafting, Third Edition (California Continuing Education of the Bar). 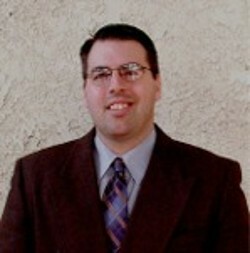 Mr. Neumann received both his undergraduate and law degrees from UCLA. Mr. Neumann has been honored as a “Super Lawyer” every year since 2004 by Law & Politics, published by Los Angeles Magazine. He also was recognized as a “Distinguished Instructor” by UCLA Extension. Michael T. Van Kleeck has over 17 years experience in the financial planning industry and 10 years experience teaching Financial Planning. He has a degree in Business Finance; holds the CFP®, AIF® and CSCP® certifications and is a graduate of UCLA’s PFP program. Michael has extensive experience with the different types of firms that operate in the Financial Planning industry and can offer a unique perspective to those both new and old to the field. Bob Watson is currently an investment adviser representative with ING Financial Partners and has over 26 years of experience in the industry. He is a speaker and seminar leader on financial/investment topics. Other positions have included branch manager/registered principal with Raymond James Financial Services, financial consultant with A.G. Edwards and Merrill Lynch, manager of finance and administration with Home Box Office and financial planning specialist with Hughes Aircraft Company. He lives in San Clemente and has four children. His undergraduate degree was achieved at Brigham Young University and his MBA from Indiana University. I am now starting my eighth year of on-line teaching and still receptive to your positive feedback and constructive criticism. 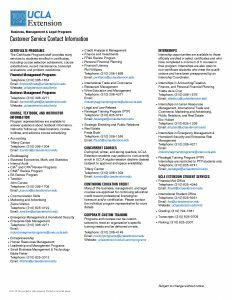 I have “formally” taught at Santa Monica College and UCLA Extension in the distant past but have kept my teaching skills more or less fresh by conducting frequent workshop/seminars for client education and business promotion over the years. In the real world (and virtual) I am an asset protection counselor (over 40 years!). I am a principal in LAElderLaw (see www.LAElderlaw.com) which caters to the needs of seniors (estate and financial planning, asset protection, wills, trusts, conservatorships, litigation, advance health care directives, durable powers of attorney, medi-cal qualification for long term care benefits and avoidance of medi-cal recovery). Over the past 40 years, I have, practiced law, financial planning and asset protection and developed real estate.